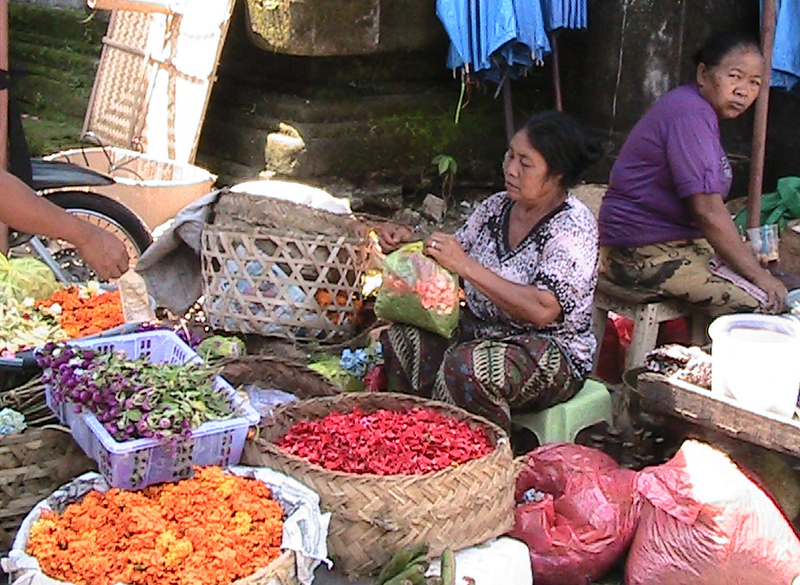 Bargaining is an unsaid way of life in Bali. 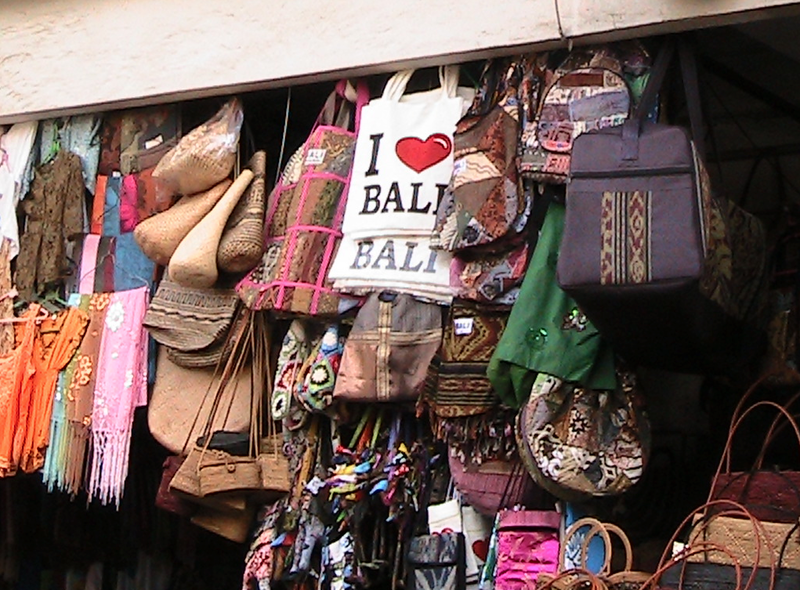 Tourists can bargain in many markets and street stalls on the island. 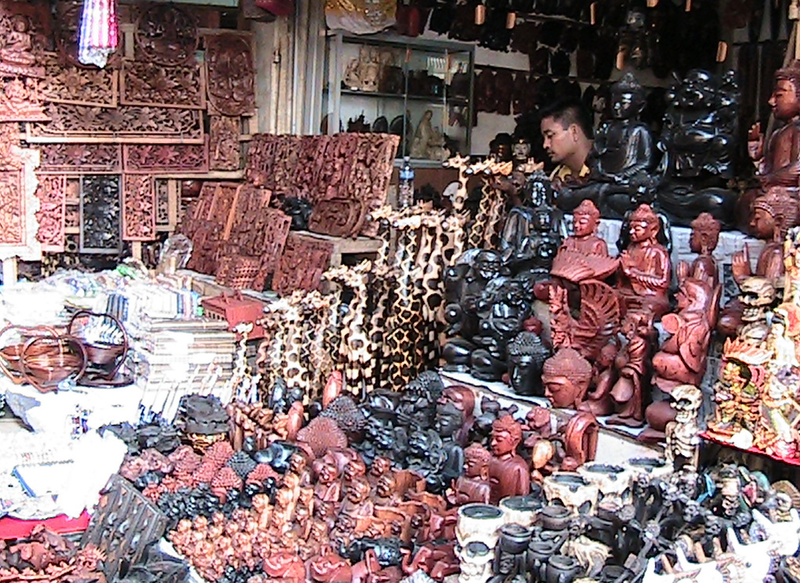 The bustling, multi-story Ubud Arts and Craft Market is the go to place for bargaining thrill-seekers. Westerners aren’t used to bargaining or haggling over the price. In fact, many presume that it makes them look cheap. Understand that you could walk away with a keepsake for 20%-50% of the asking price. Bargaining is an art and it could take as long as thirty minutes because the Balinese like to bargain slow. It is best that you do not buy any souvenirs the first three days that you are there. Enjoy walking around and looking at what is available and familiarize yourself with the price points. Know the currency of the rupiah to your own dollar. It is IDR 9,000 to $1.00 USD This will give you a good footing in the bargaining process. This way when you are being charged RPI 40,000 for a plastic fan you know it’s $4.44 USD and you may be willing to only pay $2.50 USD. It is an insult to set your bargain price too low. Many of the items are handmade and the craftsmen and women do need to get compensated for their time and skills. This is not a good way to begin your bargaining relationship. Say what you like about a particular item first (for example, its craftsmanship, color or feel). Ask the price. This will be high, because they expect you to bargain. Show hesitation or even distress. Once the seller sees that you like the item, but the price is holding you back from purchasing, you have the upper hand. Be prepared to walk away. This is a good tactic because 100% of the time the seller will shout out a lower price. This is your opportunity to pounce and present your first bargaining price. Be prepared to go up a little, usually IDR 30,000-$60,000. Bargain with a smile. The sellers in the market are happy to bargain and give you the items. They are much more likely to continue the bargaining process of you enjoying it. Getting angry will definitely lose a sale. Keep in mind that it is a game. To make the game ever more fun, devise a plan with your friend that makes her the reluctant party in a sale. Have her frown and say, “No that’s too much. We can do better.” If you are alone, fake a call if you have to -- OR, my girlfriend and I devised a plan of Good Cop, Bad Cop. If either of us saw and item we wanted the other would be the reluctant party. We each said, “No. Too much. Let’s go!” That strategy worked so well the first time we went, we were back the next morning to score some more goodies! Other Helpful Hints The best times to bargain are when the market first opens at 9am or an hour before it closes at 7pm. Sellers are anxious to make that first sale in the mornings so they can have good luck for the rest of the day. In the evening they are ready to go home and if it’s been a bad day at least they can make some money before they close. All of the sellers we encountered had a look of distress when we told them our prices. Don’t let this stop you holding your ground. You have a fair price in mind, stick to it, but be polite. Don’t feel bad because these looks of anguish.About the Author: Diana O'Gilvie likes to see the whimsy in travel. As a flight attendant for a major airline she's an avid traveler and observer. Follow her blog, Traveler Writer Filmaker as she regales encounters with passengers and other travel stories. You may also follow Diana on Twitter @travelwritefilm and on Facebook.